Growing up in Phoenix didn’t stop me from being outside year-round. I grew up competitively racing BMX. I’ve always loved being active, trying new things and being around people that like to do the same. Once I was forced to start adulting, I found that slowly but surely most of the activities I loved to do growing up were no longer a part of my life. In an attempt to relive my glory days, I bought myself another BMX bike and started going back to the track. Along with riding, I was also going to the gym and lifting weights. I quickly found that the time commitment of both activities was not feasible. In mid-2016 my wife, Savanna, decided she wanted to try CrossFit. Savanna joined Firebird. She would not stop talking about it. Literally.  So, after a couple months of resistance, I joined Firebird as well. 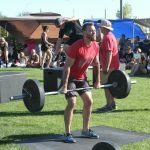 I quickly found that CrossFit not only fulfilled my daily exercise goals, but it was also an outlet for the competitive side of me. I could go on and on about the benefits of small class sizes, personalized coaching, constantly varied movements, community, etc., but I won’t – Google “why is CrossFit good”. As a coach, I love being a part of every Athlete’s journey with CrossFit. I enjoy coaching Athletes through their successes, and helping them overcome their “failures”.